​​ MESQUITE – New Jersey-based Monmouth Real Estate Investment Corp. acquired the new FedEx Ground distribution hub, which sits on the former site of Big Town Mall, for $50.6 million. 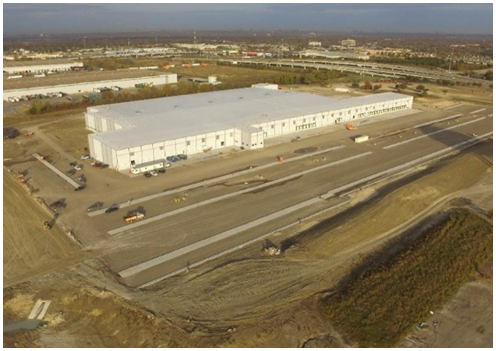 The 351,874-sf facility sits on 65 acres at 5005 Samuell Blvd. in Mesquite and is net-leased to FedEx Ground Packaging System Inc. In all, FedEx Ground employs more than 500 workers at the distribution hub. The new FedEx Ground hub sits eight miles east of downtown Dallas, making it a substantial acquisition in a major U.S. market. ​Want more da​ta? See DFW ​Industrial Market Research.